Are you tired of synchronizing your product details on 1ShoppingCart.com and your WordPress site? Well, help is just a click away. Our new WordPress plugin lets you enter a WordPress short-cut code into your page or post and then the page gets populated by the 1ShoppingCart.com (1SC) API. 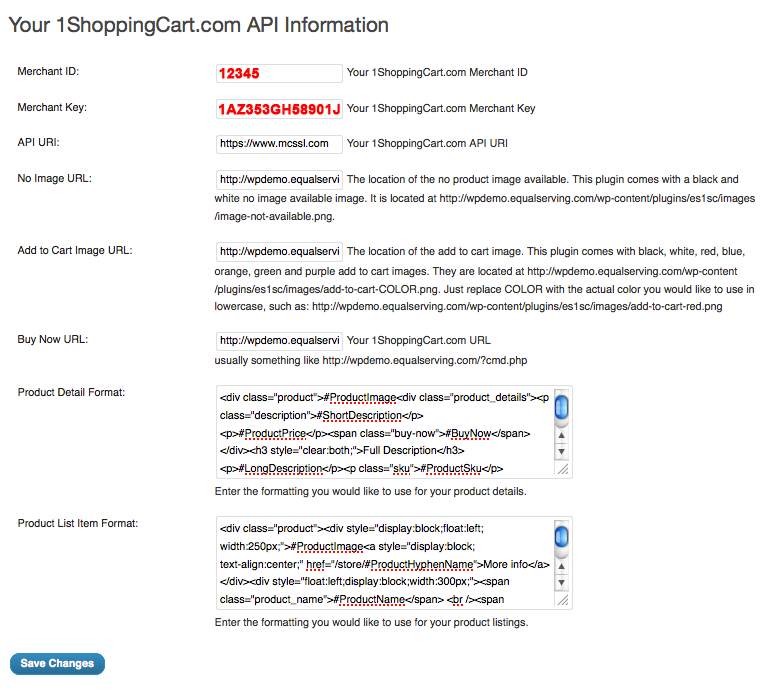 Because the plugin uses the 1ShoppingCart.com API, your 1SC account must have the API enabled. Our WordPress Plugin For 1ShoppingCart works on pages or posts. You only need to enter the short-cut code [es1sc_pdetails prd_id=XXXXXX] on the page or post and the plugin does the rest of the work. Let’s say that you have a product with the 1ShoppingCart id of 6216791. You simply create a new page or post and enter [es1sc_pdetails prd_id=6216791] where you would like the product details to appear. Unfortunately, because Bundled Offers are not really products, the API does not support any bundled offers that are in the catalog. Bundled products would have to be maintained manually on the WordPress site. Click on the Add New link under Plugins. Click on the Upload link once on the Plugins page. Upload the zip file you received after your purchased out plugin. Expand the the Settings section and click on the 1SC Settings link. Your 1ShoppingCart.com Merchant ID. 1ShoppingCart.com displays your Merchant ID in the upper left side of their site after login just below their logo. Your 1ShoppingCart.com Merchant Key. Your key can be found under My Account | API Settings. This image would be used on the product details display when an image has not been uploaded to 1ShoppingCart.com for the product. Please enter the full path of the image – for example – /images/no-photo-available.jpg. What Add To Cart image are you using for customers to click on to add the product to your 1ShoppingCart.com shopping cart? Enter the path to this image – for example – /images/add-to-cart.jpg. usually something like https://www.equalserving.com/fluvannamg/?cmd.php when you are using 1ShoppingCart.com domain masking. Enter the formatting you would like to use for your product details. The default formatting follows. 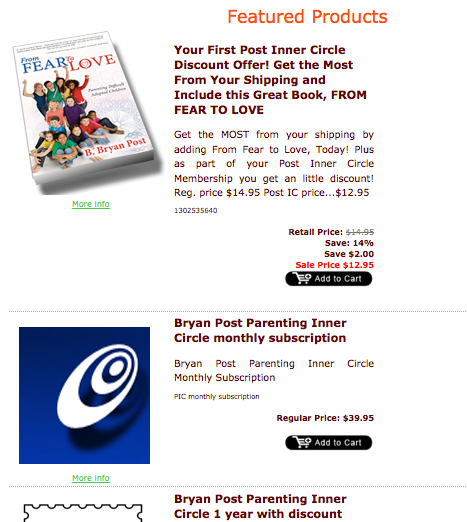 Enter the formatting you would like to use for your product listings. The default formatting follows.